Adds blurb to front page. 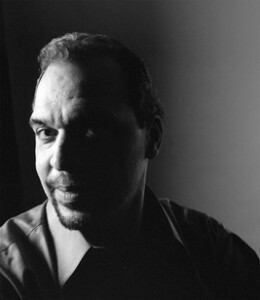 Charles Smith’s plays have been produced off-Broadway and from coast to coast by theaters such as Victory Gardens Theater, Indiana Repertory Theatre, Goodman Theatre, New Federal Theatre, The Acting Company, People’s Lights & Theatre Company, Penumbra, Crossroads Theatre Company, Penguin Repertory, Ujima Theatre Company, The Colony Theatre, St. Louis Black Rep, Seattle Rep, Jubilee Theatre, Ensemble Theatre in Houston, Berkeley Rep, The Robey Theatre Company, and Ensemble Theatre in Cleveland. Many of this plays use various historical contexts to explore contemporary issues of race, identity, and politics in America. His work spans a gamut from contemporary investigations of historic icons such as Denmark Vesey, Marcus Garvey, W.E.B. Dubois, and Alexandre Dumas, to examinations of race and politics in a more current setting such as the impact of the end of segregation on Chicago’s Southside. Christopher Soden, writing for ForeWord Reviews, January 29, 2013. Read the full review here. This collection of five award-winning plays by Charles Smith includes Jelly Belly, Free Man of Color, Pudd’nhead Wilson, Knock Me a Kiss, and The Gospel According to James. Powerful, provocative, and entertaining, these plays have been produced by professional theatre companies across the country and abroad. The collection is now available through most outlets including Swallow Press. The Indiana Repertory Theatre and Victory Gardens Theater productions of The Gospel According to James featured André DeShields in the titular role. For more information about André DeShields, please visit his website here.